Today's rally might have completed wave [ii]. 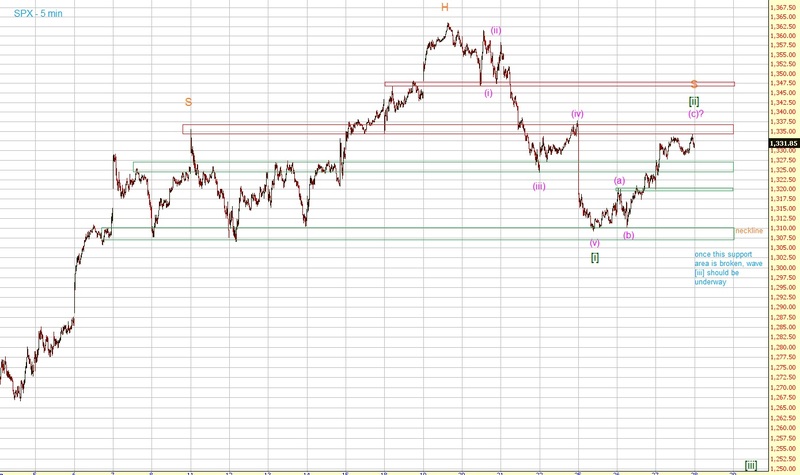 If we get a break of 1307-10, wave [iii] should be underway. The minimum target for this third wave is the early June low. I think wave [iii] will decline further though, probably down to 1230-50.